Wilderness Trails motto is ‘Reaching out with God’s love to youth’ in Southern Oregon through camping and other outdoor adventures. 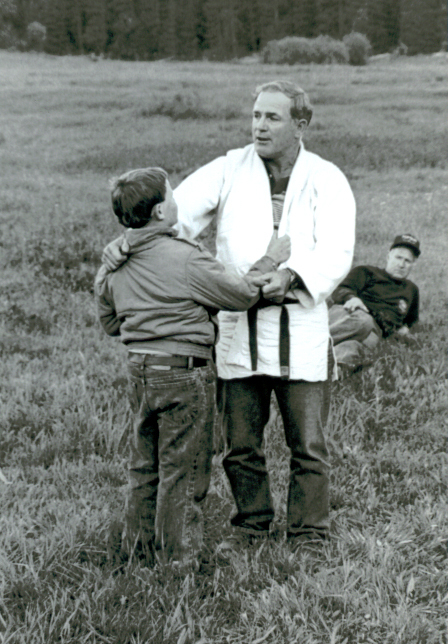 It all began in 1967 by a Southern Oregon minister named Earl Best who had a heart for children in difficult situations and who may have never experienced the love of Christ. What better place to show and experience God’s awesomeness than through his creation? The children that come to Wilderness Trails are referred through the Oregon Department of Human Service Child Welfare Department, Juvenile Department, and other private agencies. The first camps were backpacking trips into the wilderness. But as the program grew, there was a need to have a home base campsite for younger campers. In 1972 this dream became a really when volunteers and supporters raised $42,500. Under the leadership of Jack Smith they were able to purchase 160 acres off of Dead Indian Memorial Road east of Ashland — Wilderness Trails’ current home. During that same year volunteers built a teepee village and the first cabin on the property — an A-frame house that has been dedicated to a friend and longtime Wilderness Trails supporter, Ken Mainwaring. It was used to house campers during winter camps and has recentlybeen remodeled and updated. A few years later a second, larger cabin was built so that Wilderness Trails could serve more children and staff. And in 1976, a home was built for the property’s caretakers. Teepees, cabins, bigger cabins, acres of land to explore, what more could a camp like Wilderness Trails want or need for its young visitors? 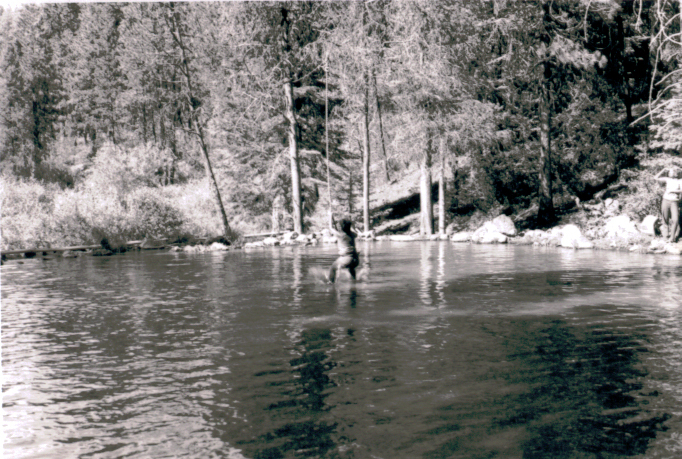 Any kid would tell you — a swimming hole! So in 1982,with the help of friends from the John Knox Presbyterian church, a spillway was built giving Wilderness Trails a swimming and boating pond. It’s the main attraction for many camps today. In 1999 after a very large fundraising campaign lead by Chris Smith, Wilderness Trails’ current Executive Director, a beautiful 4,000-square-foot lodge was completed. Many of the camp’s follow-up retreats are hosted at this facility. It sleeps up to 36 people and has a full-service kitchen. Some of the kids who attended summer camp are invited back during the winter months for a retreat at the lodge where a nearby sled hill and warming shed are often the main weekend attraction. Today summer campers still enjoy the outdoors in the primitive setting with no electricity. They stay in teepees and cook their own meals as a team. 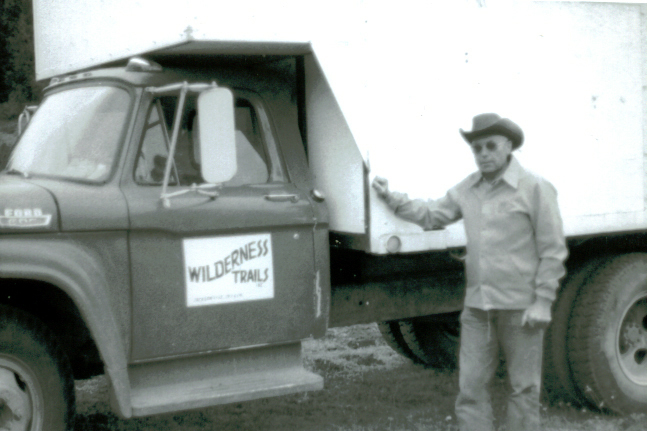 Decades of volunteers and supporters have helped make Wilderness Trails the topnotch camp that it is today. Thousands of kids have been impacted for Christ through this ministry. Although Wilderness Trails depends on private donors, receiving no government funding, it continues to offer programs to youth free of charge. Wilderness Trails has served youth in Southern Oregon since 1967 and though it has survived some physical and personnel changes, one thing that remains the same is its focus in sharing the exciting, life-changing message of Jesus Christ to kids who need to hear about and experience His love.